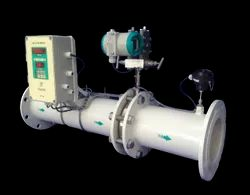 Prominent & Leading Manufacturer from Pune, we offer compressed air flow meter and air flow meter. The GFMc-150 flow meter is applicable for measuring flow rates of Compressed Air & other compressed gases in closed conduits. It is best suited for applications where affordability reliability and ruggedness are of prime concerns. Principal Advantages:1. Online density compensation possible because of the online pressure and Temp. measurement.2. Various sizes of orifice assemblies available with accurate design calculations.3. Online display of compensated mass flow rate, density, temperature & output of DP transmitter is offered.4. No moving Parts.5. Installation is easy and suitable.6. No wiring connections are required during installation. 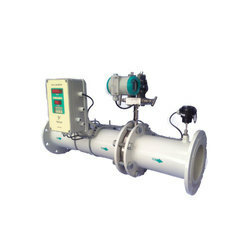 We offer a wide collection of Air Flow Meter that is used for various purposes. Online density compensation possible because of the online pressure and temperature measurement. Online display of DPT, PT and Temperature sensor is indicated by the error message. No wiring connections are required during installation. Calibration of RTD, DP transmitter, pressure transmitter is easy and expensive. Looking for Compact Air Flow Meter ?